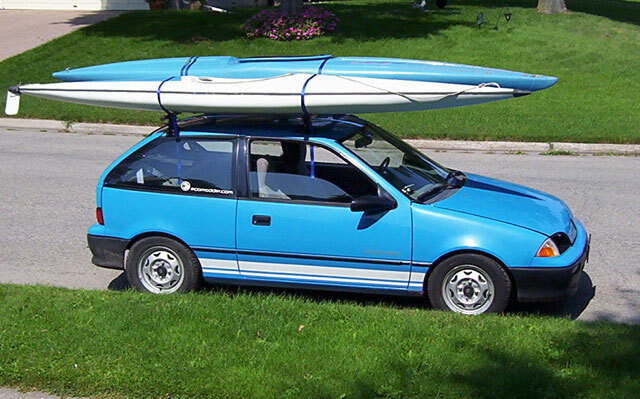 The Kayaks match your car! Did you do that on purpose? will eat up a ton of amps if not regulated. The ones i worked on were OLD and had an analog card in the brain box that regulated amp draw to around 500 on takeoff... BE CAREFUL!!!!! What model baker was it? B-30 only has one hydraulic motor if i remember right. No... weird, eh? I don't usually try to colour coordinate my vehicles. Yes, running 13 inch wheels on the car. It's regulated - through a golf cart motor controller. Look at the bright side ... at least you didn't put a rowboat up there! In the overall scheme of things a couple of kayaks are close the the MOST aero efficient things you could strap to the roof, hehe! Crud. Just noticed a bunch of earlier images I had hosted at theimagehosting.com have disappeared. I'm going to have to go through the thread and fix stuff. This should be a warning to anyone who hosts photos on free services. I'm going to move the images to my own domain (forkenswift.com). Oh, my eyes!!! Please paint that bike to match! I can't stand it. The pain! The pain! FYI the images in this thread are all fixed now, save for a few that other people posted themselves. Some of theirs have apparently been moved or deleted. theimagehosting.com still hosts quite a number for this thread that are still working, but my lesson has been learned: I'm moving them all to my own domain. xs.to was another image hosting service I used for some of the images in this thread (mostly because it was convenient: you could quickly upload images without an account). Its images had also disappeared. I've been invited to give a talk about the car. The location is about 30 km away (too far to get safely in cold weather). So I'm considering doing a 2-part trip, topping up at a friend's place so I can actually have the car there for the event. Other than that, no ForkenSwift news to report. Ivan's had the car for the past couple of weeks. The weather has been amazing lately for what should be early winter, so I've been biking everywhere I can while it's still pleasant out. I used the car for a 30 km round trip on Sunday, which as it turns out is quite well past the car's practical range in early winter weather (let's say 1*C, or just above freezing). For the first time since installing the new-to-us Hallowe'en 2008 pack, I had to baby the accelerator on a good portion of the return leg, 4-way flashers on. Didn't obstruct any traffic, but I had to keep a close eye on the LED pack monitor to keep from dipping any battery into danger voltage territory. So it earned a self-administered dope slap. I'm sure the pack was very happy to slurp down some juice last night. For comparison, in warm weather the car would easily go close to 40 km in similar use. Plan is to keep the car licenced and insured for the winter, but only use it if the roads are dry to minimize salt damage to the body. 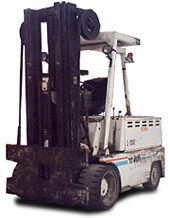 Have you ever done your patented rust-prevention oil-painting on it?